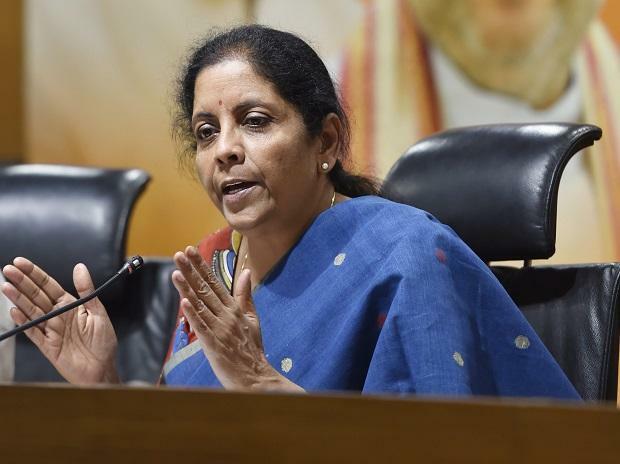 Defence Minister Nirmala Sitharaman Sunday criticised those from within the country who had termed Pakistan Prime Minister Imran Khan a "statesman" for returning Wing Commander Abhinandan Varthaman and said the IAF pilot's release was as per law and not a favour. India had sent back 90,000 Pakistani soldiers unconditionally after the 1971 war, in which Pakistan was defeated, she said. "But some within India, some journalists and thinkers, are terming him (Khan) a statesman for sending back our pilot, but it is only as per law and it has not done India a favour; they are also questioning what Prime Minister Narendra Modi has done," she said. Pakistan has shown the statements of such people and opposition leaders on their television channels, increasing TRP, the minister said. "It is these people who did not want (the country) to buy Rafale, because arrival of these will give strength to our forces," she said, addressing a gathering here on 'Ensuring India's National Security' organised by the Dr Syama Prasad Mookerjee Research Foundation. India has given a message to the world after the Balakot air strike by not bowing to Pakistan's nuclear blackmail, the minister said. On February 26, the IAF conduct air strikes in Pakistan's Balakot targeting Jaish-e-Mohammed terror camps. The strikes came after a suicide bomber from the terror group on February 14 rammed an explosive-laden vehicle into a CRPF bus, killing 40 personnel, in Jammu and Kashmir's Pulwama district. Modi did what former prime minister Manmohan Singh did not do after the Mumbai attacks on November 26, 2008, possibly because of Pakistan's continued propaganda that "it is a nuclear power like India, and we should not forget that before doing anything against them", she said. "'Chowkidar' gave Pakistan the right answer," she said. The defence minister said though there is no direct war being waged between India and Pakistan, there were ceasefire violations by the neighbouring country, and non-state actors with the support of Pakistan, indulge in attacks like that in Pulwama. "So, not to wage war but to neutralise the terrorists at their training camps. They were eliminated (at Balakot)," she said, adding, India did what Pakistan ought to have done. Sitharaman said Pakistan claims it is a victim of terrorism, but itself trains and sends them to India. "Why Pakistan does not take action against terrors groups and terrorists being nurtured and trained on its soil if it is a victim?" she asked. The minister said that after the Pulwama attack, evidence was given to Pakistan, but it did not act.